At the moment in the press there's a lot of speculation about the regeneration of the 12th Doctor (played by Peter Capaldi), including a rumour on who will replace him and when - but the main question is, what's the source for all of this speculation? Has someone tipped them off, or are they just guessing? We're going to take you through some information about the upcoming series that should help clarify some of the points that are being raised and why they might be nothing more than educated guesses. This isn't exactly true...I mean, it's true we've seen his regeneration in the trailers, twice in fact when you look at it - both from the same episode but in different positions. Once laying on the floor in pain and reaching out and another standing up in a room at gunpoint. These clips come from episodes 6-8, a three part episode focused on The Monks in which part of the story is believed to take place in a parallel world. That would still leave 4 episodes of Series 10 and the Christmas special and I do not honestly believe that the BBC or Steven Moffat would let a regeneration process loom over 5 episodes. Peter Capaldi has been very specific in his choice of words regarding this, and we've all just generally taken the assumption that this means he's filmed a regeneration - but does it? Technically Peter Capaldi filmed several deaths for the Series 9 episode "Heaven Sent", could something like this be happening again? Given that Peter Capaldi is a huge Doctor Who fan it seems odd that he hasn't actually used the word 'regeneration' and given that the press release announcing his departure stated it will happen in the Christmas 2017 episode, on the balance of probability - he's not actually filmed his regeneration yet. Let's speculate - but not believe everything that The Sun or other newspapers publish as fact. 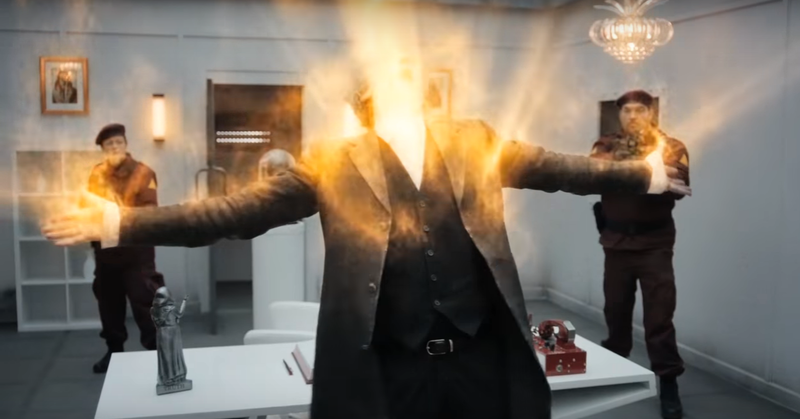 While we’re pretty sure this regeneration we've seen is just a decoy/fake-out, we can’t wait to see how Steven Moffat will write his way out of this one. And no, Kris Marshall isn't someone we'd champion to be the next Doctor.